Why was I not informed about this? 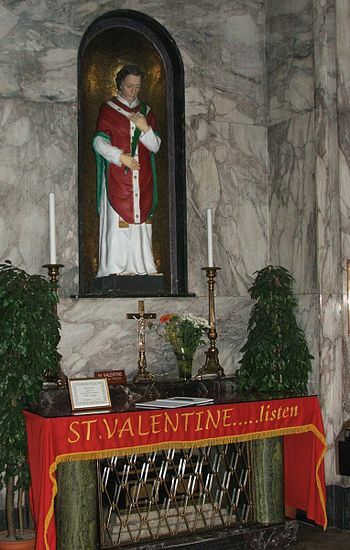 Seriously, I never knew St. Valentine was beheaded until today. Why am I always the last to know? Keep me in the loop, people! When Valentine’s actions were discovered, Claudius ordered that he be put to death. Valentine was arrested and dragged before the Prefect of Rome, who condemned him to be beaten to death with clubs and to have his head cut off. The sentence was carried out on February 14, on or about the year 278. Take your pick. There is more than one Valentine (historical persons) and more than one day of celebration.